Last week, Antonio S. Chinchón made an interesting post showing how to create a traveling salesman portrait in R. Essentially, the idea is to sample a bunch of dark pixels in an image, solve the well-known traveling salesman problem for those pixels, then draw the optimized route between the pixels to create a unique portrait from the image. Antonio is a fan of Frankenstein, so he created a traveling salesman portrait from an old Frankenstein image. I liked the idea of the traveling salesman portrait, so I thought it would be a fun exercise to re-create it in Python. Below, I walk through the code line-by-line. If you want the full code snippet, you can find it on my personal projects GitHub repository. To start, we need an image of someone. For ease of comparison, I decided to use the same image as Antonio. Franky is looking handsome as ever. Note: We can use any image we want, but this algorithm works best for images with light backgrounds. Next, we need to convert that image to black and white. PIL makes this operation pretty straightforward. And voilà! We now have a traveling salesman portrait of the ever-handsome Frankenstein. 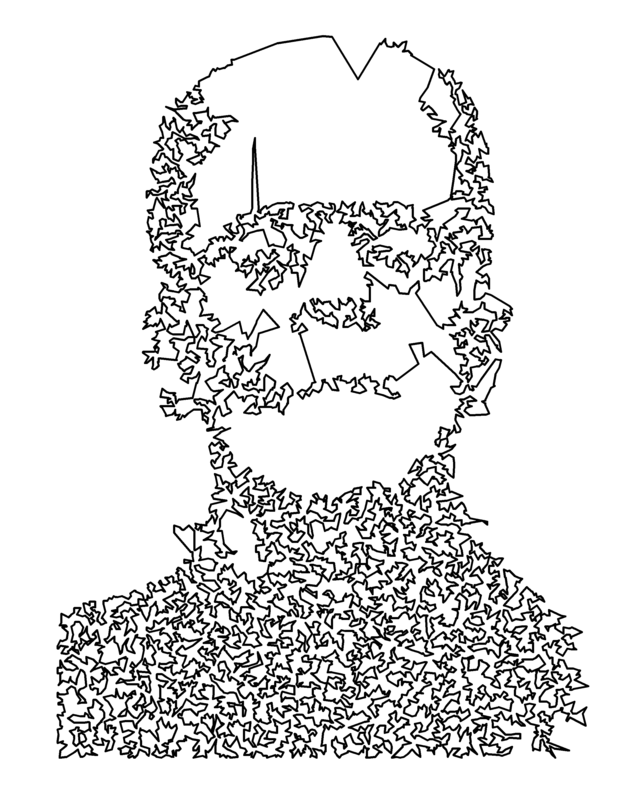 If you want to make your own traveling salesman portrait, you can use my Python script on GitHub. Enjoy! ‹ How many college football teams can you watch in-person in one football season?